The origins of Sola's family are rooted in Rocchetta Tanaro, where prestigious Barbera wines, with strong character and quality, are produced. Since the 50's in this land the Sola grandparents have managed two small yet important vineyards. Their sons and nephews moved to Genova, where they have been working in the wine and food business for fourty years. As clearly proved tradition has been strictly respected. From the heaped baskets of Barbera grapes are trasported by oxen back, in Rocchetta Tanaro to reach this internet site. Historically the Sola's family have been drawing from wine making the main purpose of their life devoting both culture and professionality to this purpose. For the last 25 years, Tonino Sola and his nephews Riccardo, Valerio and Valentina have been running the elegant Vinoteca Sola in piazza Colombo in the heart of Genova thus continuing the wine making tradition and satisfying their great passion for its appreciation. 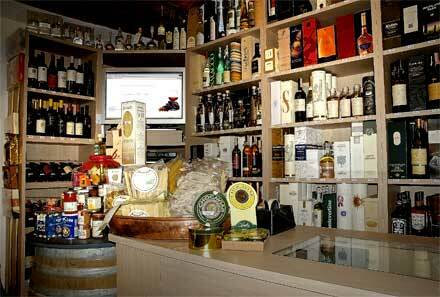 The VinotecaSola offers and delivers a wide choice of precious Italian and International wines, prestigious Champagne and Spumante, famous and very rare liqueurs. For those who appreciate quality we can offer typical foods to complement our wines; we can also offer special items which would make ideal presents, accessories such as: Riedel Glasses, Screwpull, corkscrews, foil cutter, decanters and wine stopper.